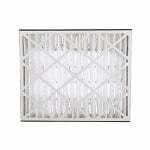 FiltersFast MERV 11 Return Grille Air Filter 5"
The 3-Pack Trion Air Bear Cub Filter 16x25x5 MERV 11 is a replacement filter pack for your Air Bear whole house air cleaner. These Trion Air Bear Cub filters trap common air pollutants inside of the filter, which help allow air to flow through the system. The Trion furnace filters feature 100% electrostatically charged synthetic material that are manufactured with extended surface pleats in order to capture and retain more dirt than other similar filters. The electrostatic material sends out safe static charges in order to attract air particles and clean the air. These Trion AC filters are 5 inches thick and non-woven. 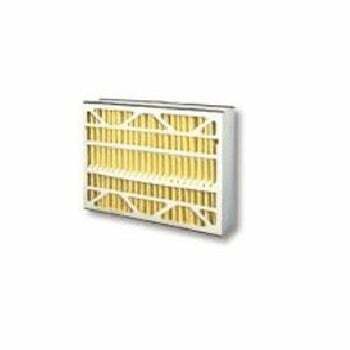 These replacement filters effectively trap and remove airborne particles like pollen, dust, dirt, mold, and spores as small as 1 micron. 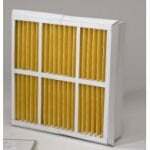 The filters, also known as the 259112-105, boast a MERV 11 rating. A higher MERV rating equals a more efficient filter. Actual dimensions: 15 3/4" x 24 1/4" x 4 7/8"
FiltersFast Air Filters are an economical alternative if you're looking for a quality air filter without paying a premium price! 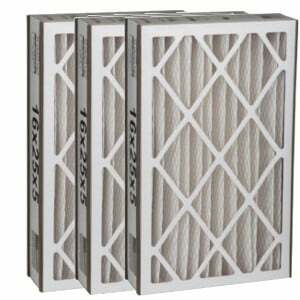 Filters Fast Air Filters come in a variety of sizes and are a cost effective upgrade from simple fiberglass or poly pleated filters. The FiltersFast Compatible FFC16255TAB 16x25x5 Air Filter can be used as an upgrade for Trion Air Bear part number 255649-105. Upgrade your Trion Air Bear Filter today for just a few extra dollars! The Filters Fast Compatible 16x25x5 Air Filter can be used in all Trion Air Bear Air Cleaners that require a 16" x 25" x 5" media filter cartridge. 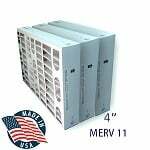 The Filters Fast Compatible 16x25x5 Air Filter 2 Pack features a MERV 11 rating, which is an upgrade in efficiency from the Merv 8 Trion Air Bear. The Merv 11 rating also means this filter effectively reduces pollen, dust, pet dander, mold spores, dust mites and other allergens from your indoor air. Removing these airborne particles can help improve allergies and alleviate sinus irritation that can cause watery eyes, itchy throat, coughing, and sneezing. Aside from the health benefits having a Filters Fast Air Filter in your home will also extend the life of your heating and cooling system by making it work more efficiently. Actual size of this air filter measures 15 3/4 x 24 1/4 x 4 3/4. Please ensure this filter will fit your application before ordering.